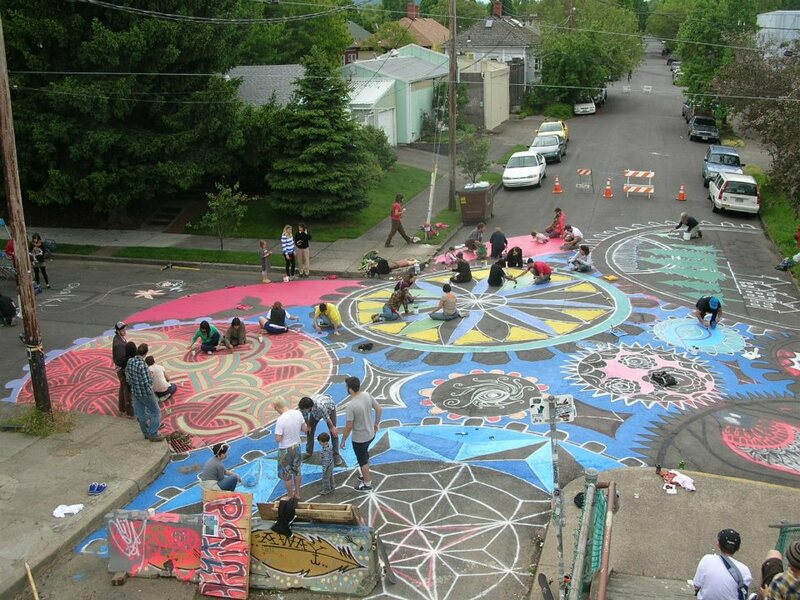 Akron City Repair facilitates creative placemaking through projects that empower local residents to create spaces that honor the interconnection of human communities and the natural world. Akron City Repair provides support, resources, and opportunities to help diverse communities reclaim the culture, power, and joy that all deserve. Akron City Repair will lead facilitator and community training’s in leadership development, natural building, resource management, and participatory and neighbor-led design principles. The program culminates in a four day, city-wide placemaking festival in August. This event will consist of people implementing their designs throughout the city and then communing at night with discussion panels, food and celebration. In partnership with The City Repair Project. Our local facilitators in Portland for the Village Building Conference.